We developed the logo and an exterior sign program used on more than 200 stores across the US. A lobby display that encouraged people to get involved in missions. It featured a wall graphic, formica cabinetry containing a monitor, video player and opportunity brochure holder. The rope, basket and bench were also part of the display. 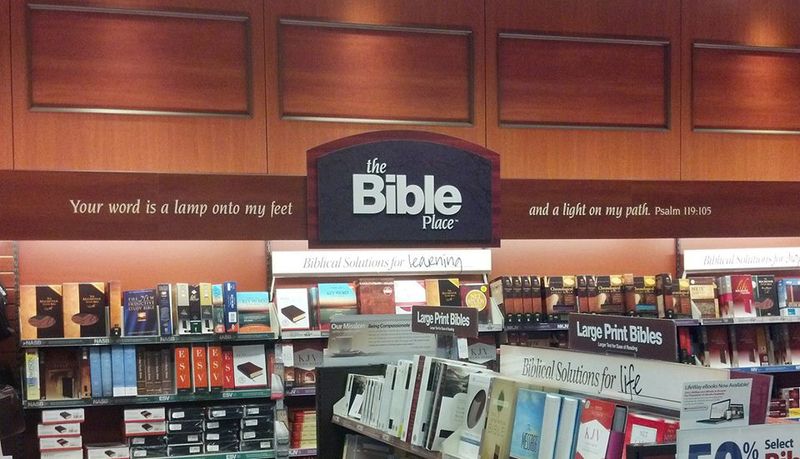 Section graphics to brand Bible area for Christian retail chain. Wall sign developed to for the church lobby welcome desk. PVC standee used to promote summer day camp sign. 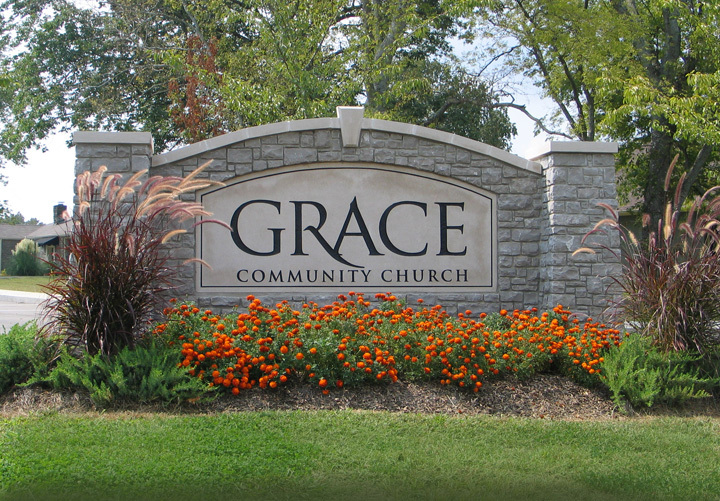 We developed and supervised the construction of this main identity sign for a local church. This display was designed to communicate the church vision to members and visitors. To keep the display fresh, the photo frames were hinged and easily updated. We re-purposed this table to help to communicate the mission theme. 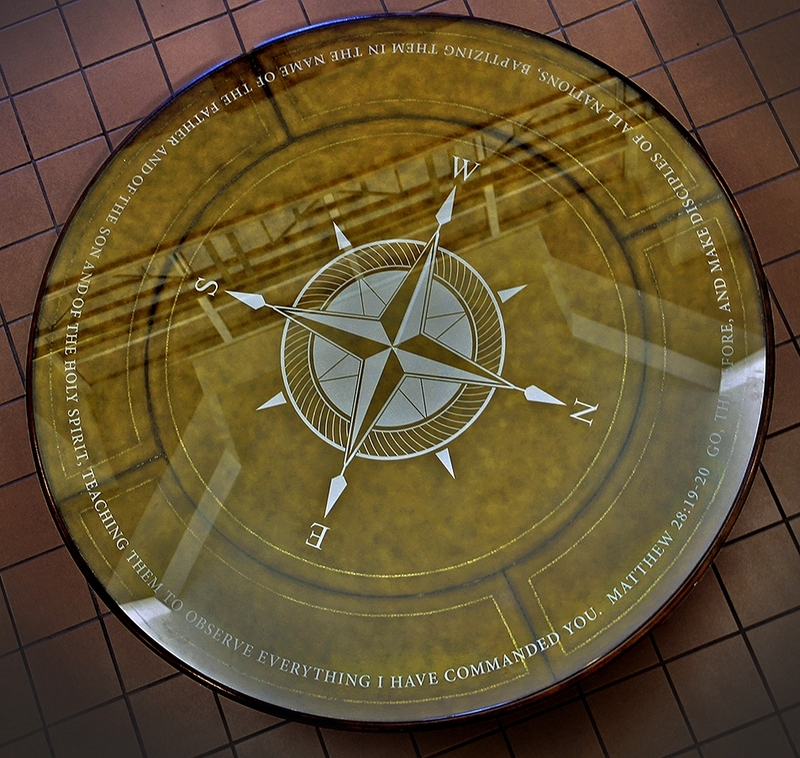 the graphic was designed and cut from translucent vinyl, then applied to the back of the table glass to protect it from damage. We designed this sign for a local farm. The panels at the bottom are interchangeable and used to advertise crops currently in season. We designed this stainless steel, glass and neon cross as a focal point in the main lobby. The wall lettering echoes the company name and vision. Outside main lobby entrance. Stainless steel pin-mounted letters. Focus wall sign we designed for the children's area in the stores. Dimensional PVC with applied vinyl. Stage set pieces for Exposure sermon series.